The Eerie Roller Girls are crashing Erie Ale Works in their rampage to rally before the last game of the 2015 season. The Eerie Roller Girls will be revving up for their bout against Meadville's infamous Rink Assassins Dolls of Doom, and a local competition naturally requires local beer. Rather than try to fend off the horde, Erie Ale Works has teamed up with Radius CoWork to give everyone an opportunity to meet the girls and support them as they gather up their (liquid) courage. On top of that, Erie Ale Works wants to buy you your first beer of the night and Radius CoWork is kicking in a bag of chips or pretzels, to help make you thirsty (for victory, and also for beer). Join the girls for a brew while they skate around the brewery and parking lot in full gear (because that's just how they roll). They'll be showing off their skills, calling you out to attend the game, looking for new recruits, and hawking their merch. Tickets bought at the Pre-Bout-Stout will be $2 off the door price. You can also enter a raffle to win a swag-bag full of Eerie Roller Girls' merch and two season passes for 2016. If you don't know the Eerie Roller Girls, or what roller derby is, this is a pretty awesome way to meet them and find out. 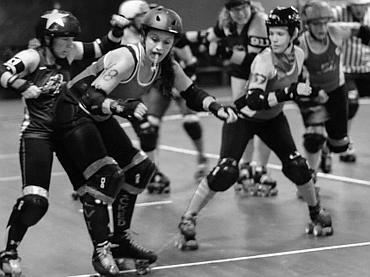 Founded in 2010 as Erie's all girl, flat track, roller derby league, the Eerie Roller Girls have been as committed to making our community a healthier, happier place to live as they have been to winning … and to local beer. So stop by Saturday, Sept. 12, from 5-7 p.m. to meet the girls, show your support, and share a drink with the team. 5 – 7 p.m. //Sept. 12. //Erie Ale Works, 416 W 12th St. //Free Admission //Sponsored by Radius CoWork & Erie Ale Works.